Reputation Wolfhound's accomplishments during the war and the fact of being led by a Ferrymen founder have given it great notoriety in certain circles. However, recent (non-disclosed) events have also led certain levels of the government to develop reservations about their activities. Wolfhound is a paramilitary organization founded in the wake of the 2011 upheaval of the United States. It began as a squad with the Resistance, whose name and reputation was carried over into a private military company lawfully incorporated at the end of 2015. All told, Wolfhound has spent the last seven years hunting down fugitives from the former US Government who eluded prosecution in the Albany Trials. Wolfhound also acts as a suppressing force against anti-Evolved paramilitary groups, rogue elements of the former US Military, and other nascent threats. While they are not officially recognized by the government, their services have on occasion been retained to hunt down and capture fugitives for trial. While Wolfhound is not an official military organization, their command structure closely relates to that of Hana's former Mossad training. Major Hana Gitelman: Also known by her codename of Nambiza, Major Hana Gitelman is the operations director and leader of Wolfhound. Commander Avi Epstein: Commander Avi Epstein is a senior-ranking operative of Wolfhound, specializing in logistics and mission planning. Avi retired from field operations in 2012 and transitioned to his logistics role after aggravating an old leg injury. Strike Team Wendigo is a specialized reconnaissance and covert operations team specializing in tactical infiltration. First Lieutenant Noa Gitelman: Noa Gitelman is Wendigo's leader. She is a multi-talented guerrilla fighter with a specialization in intelligence gathering. Noa is the newly-appointed leader of Wendigo following Colette Demsky's demotion. Second Lieutenant Adel Lane: Adel Lane is a veteran of the Second American Civil War, trained paratrooper and pilot trainee. Officer Colette Demsky: Colette is an infiltration specialist with six years of field experience. Officer Huruma Dunsimi: Huruma is a longtime veteran of internecine conflicts, having fought and defeated the Vanguard in Operation: Apollo. Officer Berlin Beckett: Berlin Beckett is Wendigo's newest recruit and a recent appointment up from a logistics position. Strike Team Amarok is an assault team focusing on offensive evolved abilities and heavy firepower. First Lieutenant Francois Allegre: Francois Allegre is a veteran of World War II (seriously) and Operation: Apollo, with generations of guerrilla warfare experience. Second Lieutenant Claire Bennet: Claire Bennet served as a freedom fighter against the tyrannical US government in the years prior to the civil war. She is a front-line combat expert and possesses a reputation as an "unkillable" soldier. Officer Curtis Autumn: Curtis Autumn is an ex-marine who once served the US government as a deep-cover informant. Officer Devon Clendaniel: Devon Clendaniel is a young soldier who fought in the Second American Civil War before joining Wolfhound during the war's peak. Officer Lucille Ryans: Lucille Ryans is a former freedom fighter and member of the Ferrymen. Strike Team Keelut is a reconnaissance and intelligence team, often the first in to potential Wolfhound operations. Keelut's specialty is threat identification and intelligence gathering. First Lieutenant Rue Lancaster: Rue Lancaster is a former Ferrymen operative and a talented reconnaissance officer who has recently gained provisional leadership of a strike team. Second Lieutenant James Dearing: James Dearing is a former LAPD captain and bounty hunter who joined Wolfhound in 2017. Officer Felix Ivanov: Felix Ivanov is a former NYPD, FBI, and FRONTLINE officer who joined Wolfhound in 2018. Officer Elizabeth "Blue" Dumont: Blue Dumont is a former lawyer who came into Wolfhound's orbit during the civil war and never quite left it again, supporting in business and relations capacities until finally moving to a strike team role in 2018. Officer: This rank is reserved for an officer in Keelut. 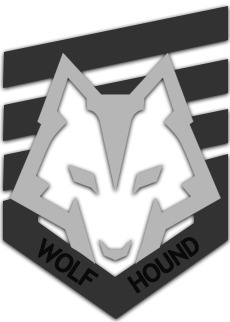 With the exception of Major Gitelman's personal designation, Wolfhound callsigns follow a consistent 'team' and 'number' format. Strike team personnel use their team names with numbers corresponding to the rosters above. 1 is always the team's First Lieutenant. 2 is always the team's Second Lieutenant. 3-5 are distributed down the rest of the team list. Tlanuwa: Command and administrative personnel (2: Avi, 3: Scott). Tlanuwa-1 is reserved for Hana, but superseded by Nambiza. Nunnehi: Any external personnel seconded to an operation (1: Robyn). The X-52 ROOK is a unique, hybrid-wing aircraft with similar flight capabilities as modern VTOL aircraft and serves as a personnel transport and versatile attack vehicle. 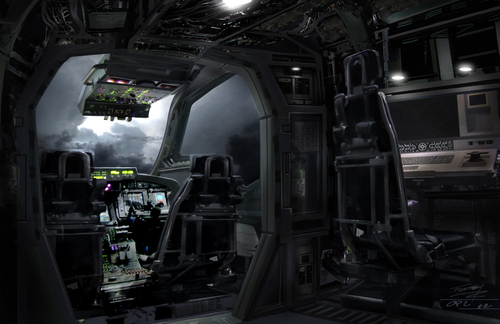 The Rook is able to reach high speeds through two powerful jet engines located at the rear of the ship. Additionally, the Rook possesses linear aerospike engines across its tail which assist in low-speed maneuverability. It possesses two large, angle-adjustable rotors, one housed in each wing, which grants the aircraft its vertical take off and landing capabilities. The Rook also has adjustable wing tips that can be angled down to intensify the lift of the wing rotors and modify the movement of the ship depending on whether it is flying at high or low speeds. This gives the Rook unprecedented maneuverability as it can make full stops mid-air, hover in place, and make incredibly tight turns compared to conventional aircraft. 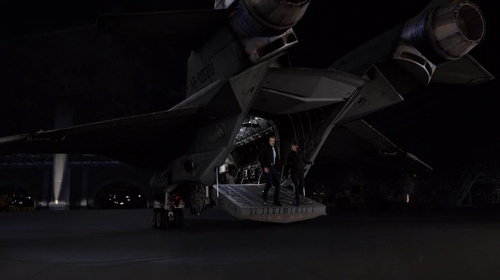 The Rook is armed with a GAU-17/A Gatling Gun mounted on the underside at the front of the jet. 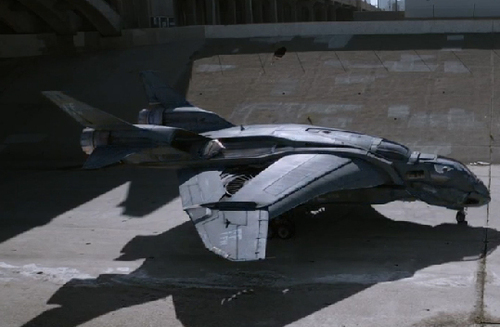 It is also outfitted with chaff and flare countermeasures launched from rear-facing pods. As an experimental aircraft, the X-52 Rook was not mass-produced and only nine were manufactured prior to the Second American Civil War. The greatest challenge with the Rook's design is maintenance. Unlike most military and commercial aircraft engines, which are mounted on structures under the wings so as to be easy to remove for maintenance because removing two large pins detaches the entire engine. Withh the X-52, the tail-mounted engines are substantially more difficult to maintain and makes the aircraft require longer periods of downtime for maintenance. This tail mounted design also shifts the centre of gravity backward, which by necessity was offset by a heavy nose, making piloting the X-52 Rook challenging for new pilots. The X-52 Rook features a rear-accessed cargo hold with seats for twelve passengers and a cockpit for one pilot and one copilot. The "Katsh" is a repurposed Terradyne Armored Vehicles Gurkha that Wolfhound acquired through its operations during the civil war. 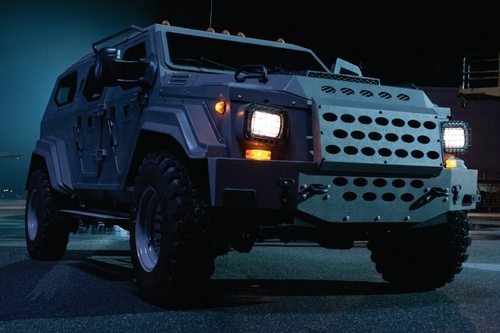 The "Katsh" is an armored military and law enforcement vehicle powered by a 6.7L Power Stroke V8 diesel engine and six-speed automatic transmission. 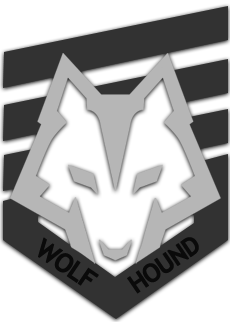 As a paramilitary organization licensed with the US Government, Wolfhound has special access and clearance for military hardware. Wolfhound agents are not permitted to use this technology when not on assignment, but they are often prepared for any situation with a wide array of military-grade ordinance and technological hardware.